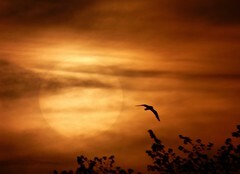 Winter Solstice is always exciting in our beautiful corner of the Northwest because it means the days will start getting a little longer again. Leaving for work in the dark and then coming home in the dark (especially when it’s only 4pm!) always leaves me a little unsettled, so I get excited when I know that we are moving in the direction of more daylight! When I first started thinking about what recipe I would like to demo today all I could think of was darkness – dark chocolate pudding, dark chocolate brownies, a delicious chocolate truffle Bûche de Noël (one of my FAVORITE recipes, and naturally gluten-free). After talking with my coworker Marc, I decided I was being too gloomy, and he suggested making a non-peanut brittle. We pow-wowed for a few minutes, and decided that a local hazelnut and cranberry brittle would be a delicious experiment to try. I have never made brittle before, and it is very easy as long and you prepare all of your ingredients ahead of time (or mise en place for those of you into cooking terminology). I looked at a few recipes for guidance and got started. The brittle came together pretty quickly – I was done and ready for it to start cooling in about 20 minutes. You will need a candy thermometer, but that is the only special equipment you will need to make this yummy candy. There are a couple of things I would like to stress about this recipe – make sure you have all your ingredients measured out and have a sink full of HOT water ready for your cooking implements when you are done making the candy – both of these things will make this brittle recipe easy and quick! Mise en place (“everything in place”)—roughly chop the hazelnuts and measure out all ingredients. Gather them around your stove for an easy reach, as the end of the recipe comes together very quickly and you won’t have time to measure or chop anything. Line a large baking sheet with foil and grease it with butter. Place baking sheet in a warm oven (170°-200°F). In a 4 quart saucepan over medium heat, combine sugars, corn syrup, sea salt, and water. While stirring with a rubber spatula, bring to a boil and continue to stir until sugar is dissolved (it will suddenly start to foam up). Immediately add the hazelnuts and stir continuously until the temperature reaches 300°F. Remove from heat and immediately stir in the butter, baking soda, and cranberries. Grab your cookie sheet out of the oven (it’s hot, wear gloves). Pour immediately onto the baking sheet as evenly as possible (depending on how thick your mixture is—try to pour it in a circle starting at the center) – ideally, it is best if you don’t have to mess with it too much—you can use a couple forks to gently spread it into an even layer on your cookie sheet. Cool completely, and snap into pieces. I recommend having a big pot of boiling water or a sink full of really hot soapy water ready to put all your cooking instruments into after you are done making the brittle—if you don’t wash your dishes RIGHT AWAY then anything left in the saucepan will harden in the blink of an eye and become next to impossible to clean. August heralds the arrival of sweet, tree-ripened, farmer direct peaches from the Okanagan Tree Fruit Cooperative at the Co-op, and they are delicious once again this year. These are the best peaches money can buy because not only are they organic, but they are picked and delivered by the farmer’s co-op directly to our co-ops, so at no time are they sitting in some warehouse waiting to be delivered to the consumer. I knew I wanted to feature them this week, and I found the perfect recipe in America’s Test Kitchen’s Best Summer Desserts edition. Every recipe I have ever made from Cook’s Illustrated or America’s Test Kitchen (one of the best shows on PBS, it you ask me!) 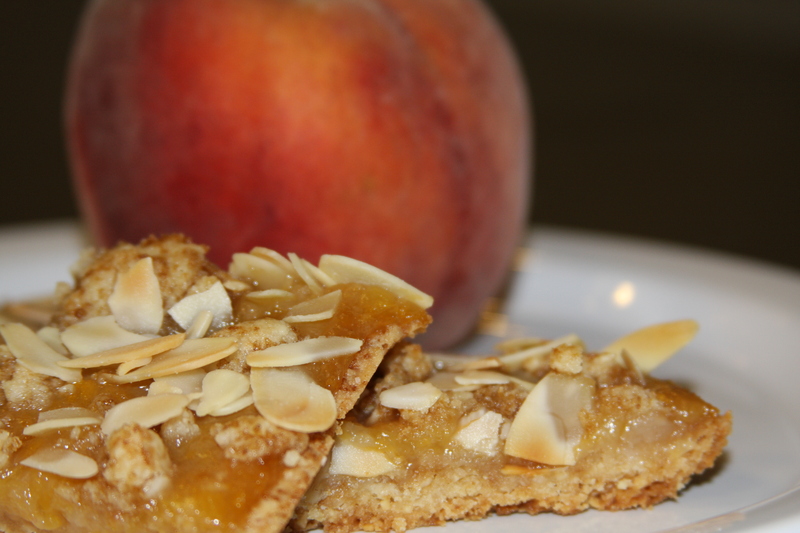 has turned out fantastic, and they don’t disappoint with their recipe for Peach Bars. I’ll note that both of their websites have limited free content, but I gladly pay the subscription fee because they don’t allow advertising in their magazines or their websites. Their Peach Bar recipe was easily adapted to being gluten-free (it should turn out pretty identical whether you make it with all-purpose flour or a gluten-free flour blend), and if you replace the butter with margarine or coconut oil you can make a vegan version as well. This was a simple recipe because the bulk of the work is done by the food processor – you don’t even have to carefully cut the peaches. I used a couple large and juicy white peaches and one yellow peach, as well as Nature’s Hollow Peach Preserves for a little extra peachy kick. These bars aren’t overly sweet, and I really wish I could have taken photos of people trying them to illustrate how yummy they are – they don’t look very exciting on the plate, but the look of surprise on people’s faces once they tasted them was priceless! I highly recommend whipping up a batch – they taste like the best part of summer and you will be exceptionally popular with those you choose to share them with! Make a foil sling for a 13×9 baking dish—fold 2 long sheets of foil; first sheet should be about 13” and the second should be about 9”. Lay sheets of foil over pan perpendicular to each other, with extra foil hanging over edges. Smooth foil flush against the pan. Spray with veggie oil spray. Process 1 1/4 c almonds, flour, sugar, 1/3 c brown sugar, and 1/2 t sea salt in a food processor until combined, about 5 seconds. Add butter and pulse mixture until it resembles coarse meal (some pea-sized pieces of butter will remain), about 20 pulses. Transfer 1/2 c of the mixture to a bowl and set aside. Press remaining mixture into the prepared pan and bake until golden brown, about 15 minutes. Mix 1T of brown sugar into reserved mixture and put it in the fridge (if your kitchen is warm). While crust is baking, remove blade from processor and wipe out your work bowl. Pulse peaches and preserves in the processor until mixture is in 1/4” chunks, about 5 pulses. Cook peaches in a large non-stick skillet over high heat until thickened and jam-like, about 10 minutes. Take peaches off the heat, and add a pinch of salt and the lemon zest and juice. Stir to combine. Pour peach mixture over hot crust. Using your fingers, pinch reserved flour mixture to create dime-sized clumps and sprinkle them over the peaches. Sprinkle remaining 1/2 c almonds over the top. Bake until almonds are golden brown, about 20 minutes. Let cool to room temperature, at least two hours. Using foil overhang, lift from pan and cut into 24 squares. Enjoy! Store in an airtight container at room temperature for a few days. This Sunday is the Co-op’s Summer Party at Boulevard Park in Bellingham. It is a really big deal this year because our co-op was one of a handful in the nation chosen to take part in promotional videos being produced by the National Cooperative Grocers Association (NCGA) for next year, which has been declared by the UN to be the International Year of Cooperatives. A film crew is flying in from Austin, TX this weekend to shoot footage at both of our stores, at a few local farms (Heritage Lane Farm and Misty Meadows Farm are two of the farms being visited), and at our Summer Party. Kevin Gillespie, who was a finalist on Bravo’s Top Chef season 6, was chosen as the host for the videos and he will also be at our Summer Party to talk to people about why they love co-ops. Click here to read more about him. I’m personally excited because my husband and I will be dining at the new Brandywine Kitchen Sunday night at a dinner party for Kevin – how much fun will that be? (A lot!) 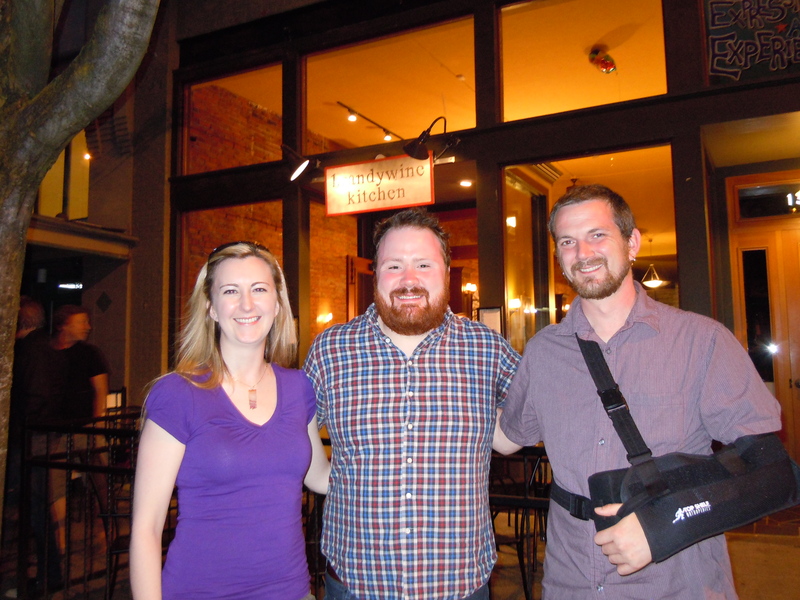 He is our all-time favorite contestant from Top Chef and we were pleasantly surprised when we were asked to attend! In honor of Kevin’s visit, I thought it would be fun to prepare one of his recipes for my demo this week at the Cordata Co-op. 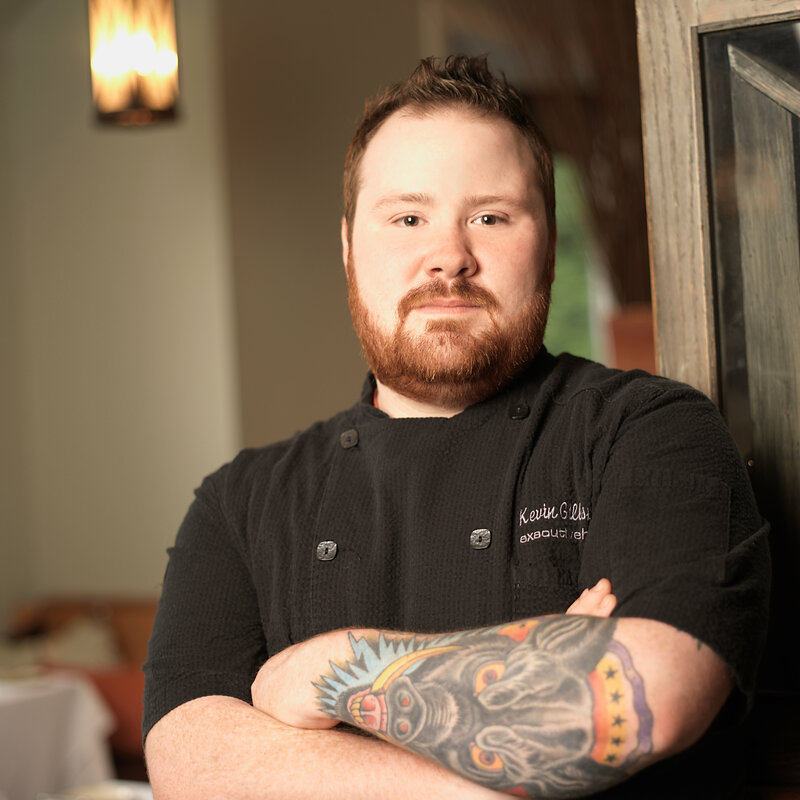 Kevin is an advocate for the Slow Food movement and uses locally grown foods at the Woodfire Grill in Atlanta, GA, where he is co-owner and Executive Chef. 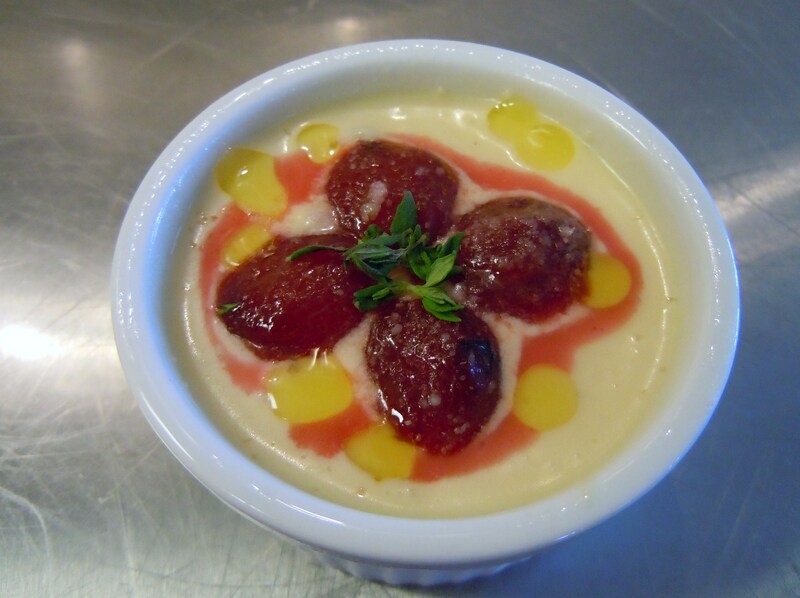 I searched through his recipes from his season of Top Chef, and settled on his recipe for Honey and Fromage Blanc Mousse, with Glazed Grapes, Olive Oil and Sea Salt. We don’t carry Fromage Blanc (a mild, creamy, soft white cheese) at the Cordata Co-op, but after doing a little research I found out that Quark would be a decent substitute. Quark is a type of fresh cheese that is similar to cottage cheese, but the curds are much smaller and it is not made using rennet. Créme Fraiche was easy to find at the store, and I rounded out the mousse with some local egg yolks, local honey and local heavy cream from Fresh Breeze. This recipe is, shall we say, much fancier than I usually prepare for my demos, but it wasn’t really that hard to make (although I still don’t understand how he did this in under an hour on the show!). When the recipe tells you to “whisk like crazy” while cooking the yolks and honey, it really is the best advice – the faster you whisk the shorter time it will take to complete the task. On my trial run of the mousse (I wanted to make sure the quark would work before serving it) I didn’t whisk like crazy, and seemed like it took forever to get to the right consistency. When I made the second batch I whisked like there was no tomorrow and it came together so much quicker! Peeling the grapes before glazing was also a little tedious, but then again I was preparing many more than necessary for the recipe since I wanted to be sure that every sample had a grape. This dish (Kevin lists it as an appetizer) was pretty amazing – it is sour yet sweet, salty and savory (umami!) all at the same time. Tasters overwhelming loved the surprise flavors, and a family from France even took a copy of the recipe to bring home with them. Enjoy, and I’ll see you at the party tomorrow! Cook yolks and honey in a double boiler over medium to medium-low heat. Whisk (like crazy!) until a solid ribbon* forms—the mixture will get very thick and it will be a slow, solid stream when you lift the whisk from the bowl. This will take 10—20 minutes, depending on how “crazy” you are when you whisk! Once it has cooled, add the Quark/Fromage Blanc, crème fraiche, and heavy cream and mix with your whisk. Season with salt to taste, and pour into serving bowls. Place in freezer for 20—30 minutes (it will be more creamy than airy). Bring a pot of water to boil. Score the grape skin and cook them into the boiling water for 1 minute. Immediately plunge into an ice bath. Carefully remove all the skin from the grapes and cut in half lengthwise. Bring Chardonnay and sugar to a boil and reduce it until it has thickened into a syrup (about 20—30 minutes), stirring occasionally. Make sure it doesn’t boil over. Remove from heat. Add butter to a saucepan over medium heat and add the grapes. Add the Chardonnay syrup to the pan and cook until the grapes are evenly coated and the sauce is bubbling. Top each bowl with 4-5 grape halves. Sprinkle fresh thyme over grapes. Drizzle a high quality extra virgin olive oil over the dish and finish with a sprinkling of sea salt. This recipe is from Top Chef, Season 6, Episode 13, Quickfire Challenge. A cooking term describing the texture of an egg-and-sugar mixture that has been beaten until pale and extremely thick. When the beater or whisk is lifted, the batter falls slowly back onto the surface of the mixture, forming a ribbon-like pattern that, after a few seconds, sinks back into the batter. Make sure that your cheeses are room temperature before mixing with the egg/honey mixture (same goes with your eggs). Whip the quark/fromage blanc with a mixer for added lift to the mousse before blending with the egg/honey mousse base. During apple season, they make the mousse at the Woodfire Grill using the eggs and honey mousse base and omitting the cheeses – bake an apple (flavored with butter and cinnamon) and serve with the honey mousse. Adding a sheet of gelatin also helps with adding lift to the mousse and to stabilize it – this is something they do in the restaurant that is not in the original recipe. You can buy gelatin sheets online, or you can make them (that’s what they do at Kevin’s restaurant). You pretty much just make gelatin and spread it in a thin layer on a cookie sheet and wait for it to dry. Check out the other cool things you can do with it here. I haven’t tried this, but if you are making the recipe and it won’t be consumed for a little while, then this might be a good option to try. 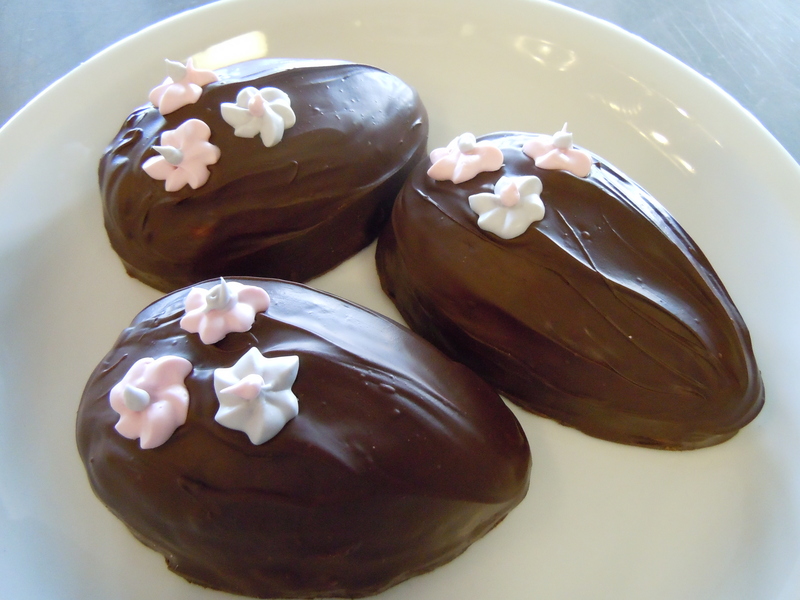 Buttercream eggs, also known as fondant eggs (although they really are neither) are very easy to make. Just four ingredients (plus nuts if you add them) and chocolate chips for coating them, and you are on your way to sugar heaven! As I stated in my last post, my mom used to make these when I was a kid, and this must have been a well-used recipe in the 70’s and 80’s as I had many customers exclaim that their mother or grandmother used to make these for them every Easter. I don’t know where my mom got the recipe, but it’s one that will always be in my arsenal. The recipe I have doesn’t have many instructions, so it is good they are so easy to make! I started by melting a stick of butter and then I let it cool completely. You put two pounds (yes, I said pounds) of powdered sugar in that largest bowl you have, and then drizzle the melted butter, sweetened condensed milk (we have Santini Organic at the Co-op) and a tablespoon of vanilla and then mix it all together – I tend to start with a wooden spoon and then use my hands once the bulk of the powdered sugar is mixed in. If you are adding nuts (I used organic roasted almonds) you mix those in and voilà – you are almost done. 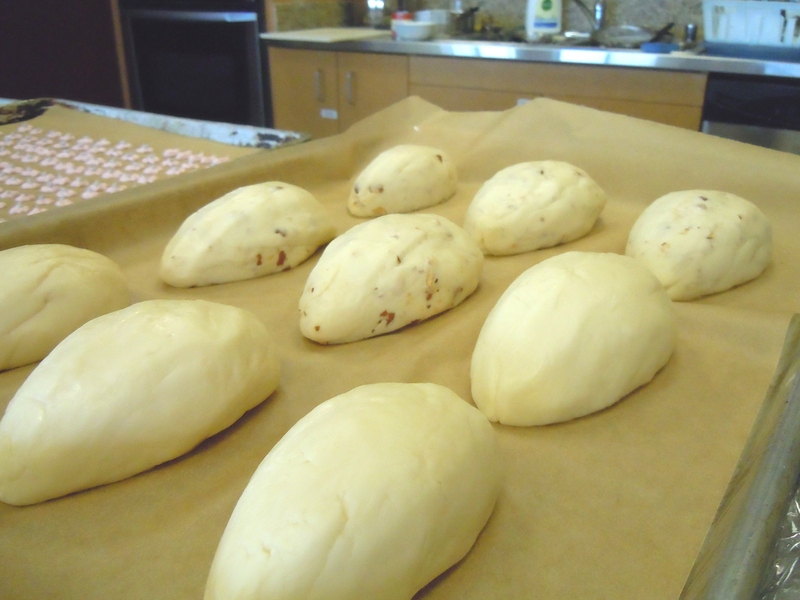 Form the dough into egg shapes using your hands – the dough is very pliable and should do this easily. I like to let them harden in the fridge for at least a couple of hours (or overnight) so the melted chocolate doesn’t make them too smooshy. I melted two bags of Tropical Source semi-sweet chocolate chips (dairy and gluten-free) in a large bowl over a barely simmering pot of water, and then removed it from the heat. The dipping method that worked best for me was to place the egg on a fork and then lowering the fork into the bowl so the egg was resting on the chocolate. Then I spooned chocolate over the egg and smoothed it out. I lifted the fork out and let the excess chocolate drip back into the bowl and carefully transferred the egg to a parchment lined baking sheet. If you made Royal Icing flowers, this is the point you need to place them on the egg, otherwise the chocolate will harden and they won’t stick. That’s it – aside from letting the chocolate harden, which you can do on the counter or in the fridge. Once they are made, they should be good for about a week or so (kept in the fridge and wrapped up tight – especially if you have cut into it, although I think they are best at room temperature so I leave them out for a little while before I eat them), if you can keep them around for that long! Form about 10 eggs and place on a parchment lined baking sheet. Refrigerate for a couple of hours (or covered, overnight) for best results. Take eggs out and melt chocolate in a double boiler. Either dip the eggs in the chocolate (using either turkey nails or a wide-tined fork in the bottom to hold the egg) and place them on the baking sheet (be sure to let the excess chocolate drip off) or place a spoonful of chocolate on the baking sheet and place egg on top—then spoon another couple spoonfuls of chocolate over it and spread until even. 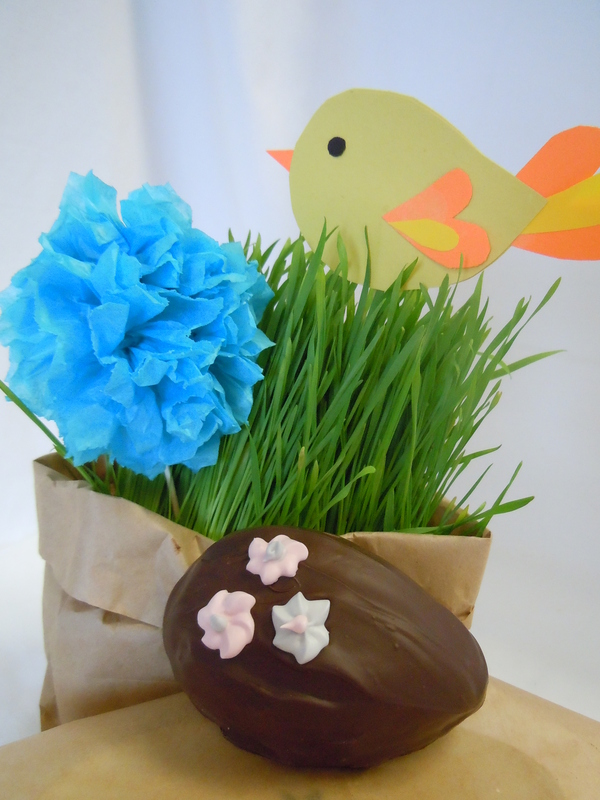 Place your icing flowers on the eggs while the chocolate is still soft. 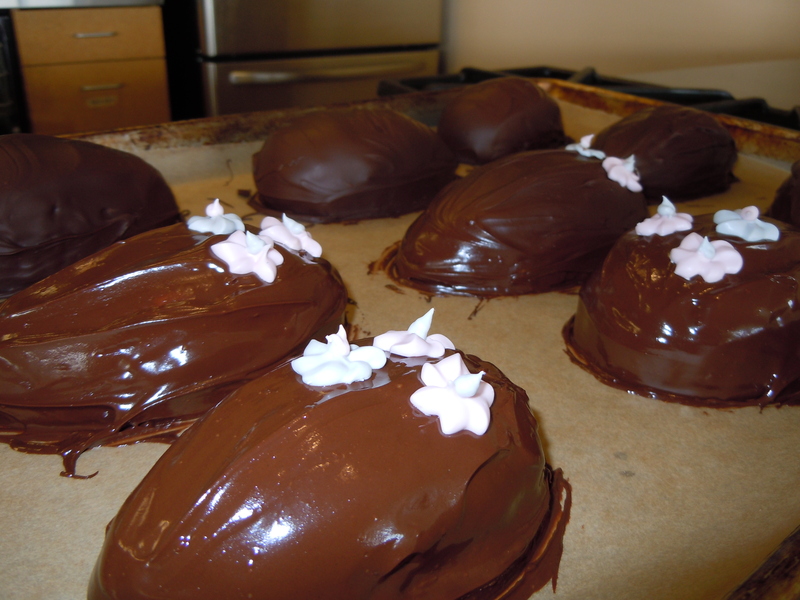 Let eggs sit until chocolate hardens (you can refrigerate them). Use leftover Royal Icing to write the name of the recipient on the eggs before serving. Today has been a beautiful day in Bellingham – it has been a couple of months since we’ve had a “mostly sunny” day, and people around here are ready for blue skies, myself included. Most of us are used to rain in the morning and sun in the afternoon in the Spring, but we have had a serious lack of that this year (especially the sun part). It is so nice to see all the signs of Spring – cherry trees are flowering, daffodils, crocus and tulips are blooming, and you can almost watch the grass grow when the sun does come out. 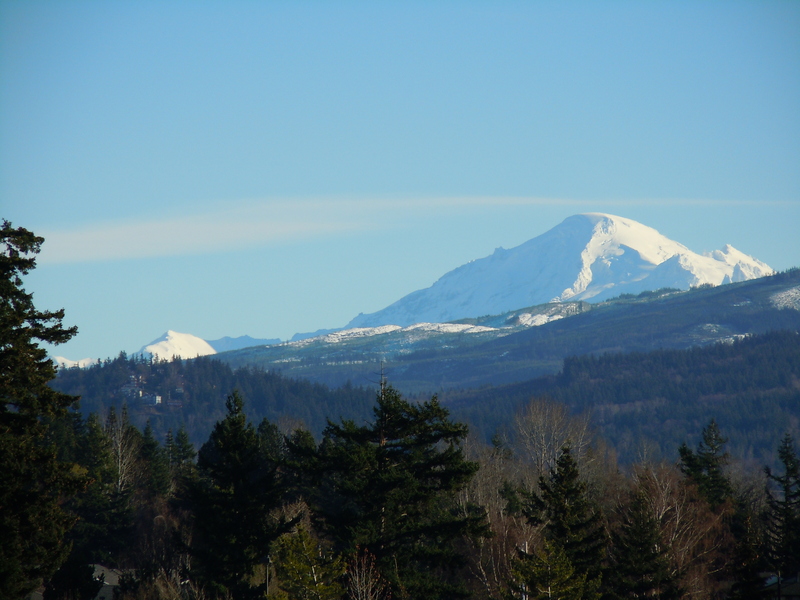 I’m lucky enough to have a beautiful place to cook at the Cordata Co-op – the kitchen is really nice, and there is a fantastic view of Mt Baker and the foothills when the majestic Koma Kulshan shows its face. Whenever the sun comes out around here, everyone remembers why they love living here, and people come out of the woodwork to go hiking, window shopping Downtown, or head up to the mountain for a little late season skiing or snowboarding (I hear they got over three feet of snow in the last week!). With yesterday afternoon’s sunshine and the beautiful morning I woke up to today, I started craving a little taste of summer. We currently have Washington grown Pink Lady apples on special (98¢/lb for members of our co-op), I decided a little apple crisp was in order! I love cooking with Pink Lady apples – they are tart while still being sweet, and are crisp without being mealy so late in the season. They are my apple of choice if Honeycrisps from Bellewood Acres aren’t in season because they work well in every recipe I have tried with them. I inherited my grandma’s apple parer/corer/slicer, so prepping a mound of apples is a piece of cake! If you don’t have one and are an apple lover, I highly recommend going out and getting one – either at a yard sale/second-hand store or at the Co-op (we carry them seasonally). After your apples are prepped, you want to start the cooking process. This recipe doesn’t have a very long cooking time in the oven, so it is important to cook your apples down enough so they will be able to finish in the oven without cooking them down so much that they disintegrate when you bake them. It’s not as hard as it sounds – and the best part is that the most reliable way to make sure they are oven-ready is to taste them! Once they are soft enough to cut with a spoon but still hold their shape, they are good to go. I used a technique from Cook’s Illustrated’s recipe for Quick Dutch Apple Crisp (the recipe is available to subscribers of their website) – they recommend baking your streusel for a few minutes first and using melted butter rather than cutting cold butter into your flour/oat/sugar mixture, and I thought I’d give that a try. 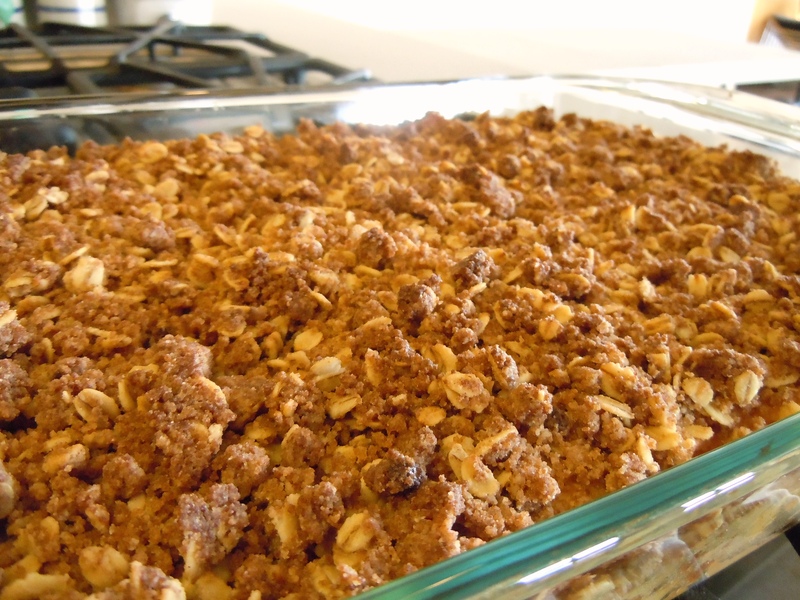 Once it was all prepped, it went in the oven for about 12 minutes, and presto – delicious apple crisp in April! I served it room temperature with some slightly sweetened “cream on the top” whipped cream from our local Twin Brooks Creamery (the one in the glass bottles). I thought that since I had a 9×13 baking dish full that the sampling might last for a couple of hours, but boy, was I wrong! 64 samples and 55 minutes later, my dish was empty but I was full with the knowledge that I had a hit on my hands! Apple Filling: Heat butter over high heat in a heavy-bottomed saucepan large enough to hold all the apples (and still have room to stir them) until foaming subsides; Add the apples, honey/agave, vanilla, and spices, and stir to coat. 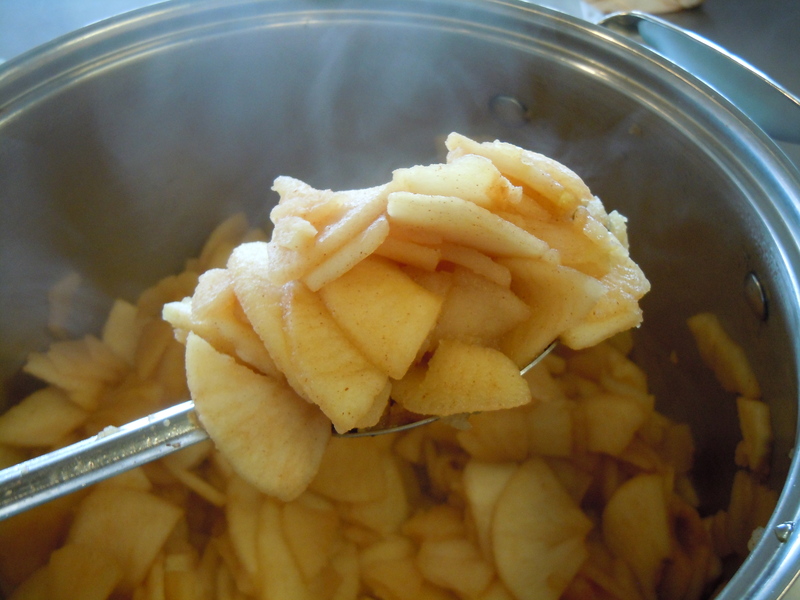 Reduce heat to medium-high and cook covered, stirring periodically, until apples become tender and the spices have bloomed, about 10 minutes. Taste the apples mid-way through to make sure that they are sweetened and spiced enough for your tastes. Pour (mostly) cooked apples into a 9×13 baking dish and distribute evenly. Streusel Topping: In a large bowl, combine the flour, oats, cinnamon, and brown sugar. Slowly pour the melted butter over the flour/oats mixture and toss with a fork until evenly moistened and it has formed pea-sized chunks throughout the mixture. 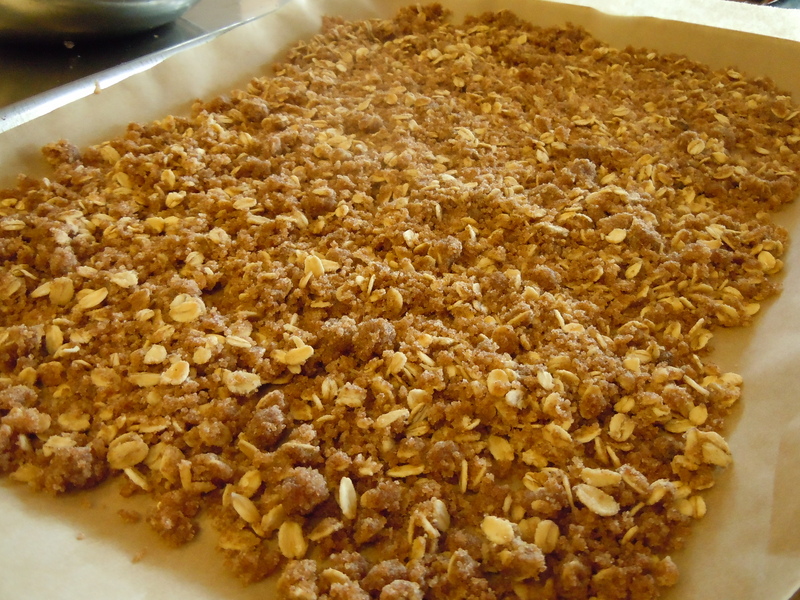 Line a rimmed baking sheet with parchment paper and pour streusel evenly over it. Bake until golden brown, about 5 minutes. Cool baking sheet on wire rack until the streusel is cool enough to handle. Cover apple mixture with streusel mixture. Bake for 10-15 minutes, until apples are all the way tender and they are bubbling, and the top is golden brown and crisp. Serve warm in a bowl with ice cream, or cold on a plate with some whipped cream. Apples: Ideally you want a mix of sweet and tart apples. Sometimes one apple will give that to you (like Pink Lady) and sometimes you may want to use a mix of apples (like Macintosh and Granny Smith). * This can easily be made vegan if you substitute margarine for the butter and use agave syrup instead of honey. A few weeks ago I read Julie and Julia by Julie Powell. I enjoyed it so much more than the movie – the “real” Julie was so likeable to me in the book (maybe it’s because I love that she loves Buffy the Vampire Slayer – in our opinion one of the best TV shows ever! ), whereas I wish they had just made the movie all about Julia Child and left the Julie parts out because she just rubbed me the wrong way! The one recipe that I just had to make after reading her book was for Bouchées Parmentier au Fromage – decadent potato-cheese “mouthfuls” that made me salivate just reading about them. My husband read the book after me (and surprise, surprise) guess which recipe he wanted to try? Yup – the one and the same! I went to the internet and found a copy of the recipe, although you can also find it in Mastering the Art of French Cooking, of course. It seemed simple enough, so the next weekend I prepared a batch to go with our steak and braised carrots – YUM! I substituted sharp cheddar cheese for the Swiss called for in Julia’s recipe. We aren’t nutmeg fans at my house (and I can’t eat cayenne) so the flavor profile is slightly different from in the original recipe, but they were super fantastic and I knew that I would be sampling them at the Co-op very soon. Well, that day was yesterday, and they were a hit with customers and staff. I usually try to avoid recipes that are too technical so they will appeal to the broadest audience (this one uses a pastry bag to pipe the sticks), but I don’t have a ton of experience using pastry bags myself and I got along fine, so I figured it was worth the “risk”. This recipe does take a lot of elbow grease (I got a doozy of a blister the first time I made them – I wore an oven mitt when I beat the dough this time and avoided another dreaded blister), but I feel that it is well worth the effort. 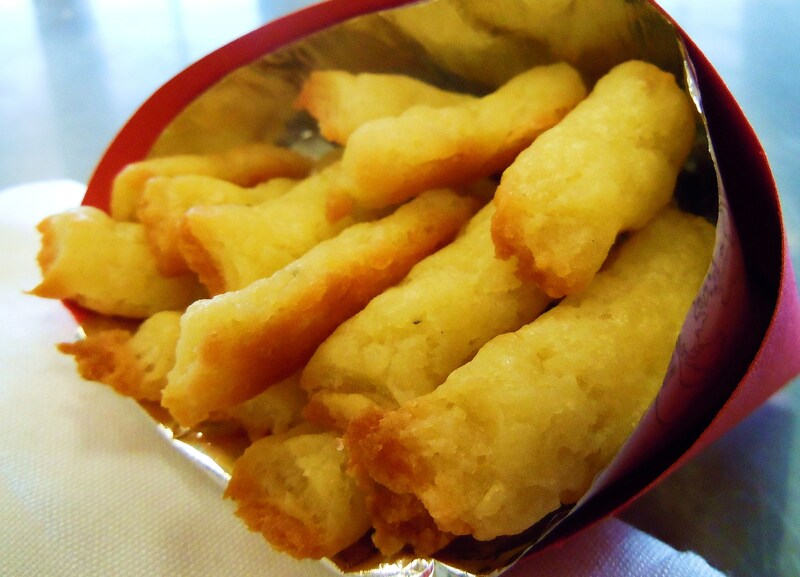 While I do own pastry bags, I ended up using a plastic freezer bag with a corner cut out to pipe the cheese sticks because it was larger, and it worked pretty well for me. Be sure to exert even pressure or the seams on the bag could split, and if you have plastic gloves to wear (so you can pipe while the dough is still really warm) they are also helpful. I had some minor blow-out trouble the first time I made these (I was squeezing the bag too hard! ), but by the second time I was piping like a pro. Preheat the oven to 425° F and place oven racks in the upper middle and lower middle positions. Butter two baking sheets or cover with parchment paper. Peel and quarter the potatoes. Boil in a heavy-bottomed saucepan in salted water until tender, about 20 minutes. Drain, then put through a ricer (or mash them by hand—just be sure to get all the lumps out!) back into the saucepan. You should have about 1 cup of potatoes. Stir the potatoes over moderate heat for 2-3 minutes until they form a light film on the bottom of the pan, indicating that most of their moisture has been evaporated. Turn heat to low. Beat the flour into the potatoes; then the butter by fractions; then the egg, cheese, salt, pepper, and seasonings (if using) in order. Taste and adjust seasoning as needed. Fill dough into a fluted pastry tube 1/4” in diameter, and squeeze the mixture into 2 1/2” lengths spaced 1/2” apart onto the baking sheets. You should either let the dough cool a moment first, or wear gloves so you don’t burn your hands. Bake both sheets at the same time for about 15 minutes, or until the sticks are lightly browned. Halfway through the cooking time reverse the sheets so they cook evenly (switch racks and turn them 180°). Serve hot or at room temperature (I think they are best served hot, my husband likes them best at room temperature – you decide!). 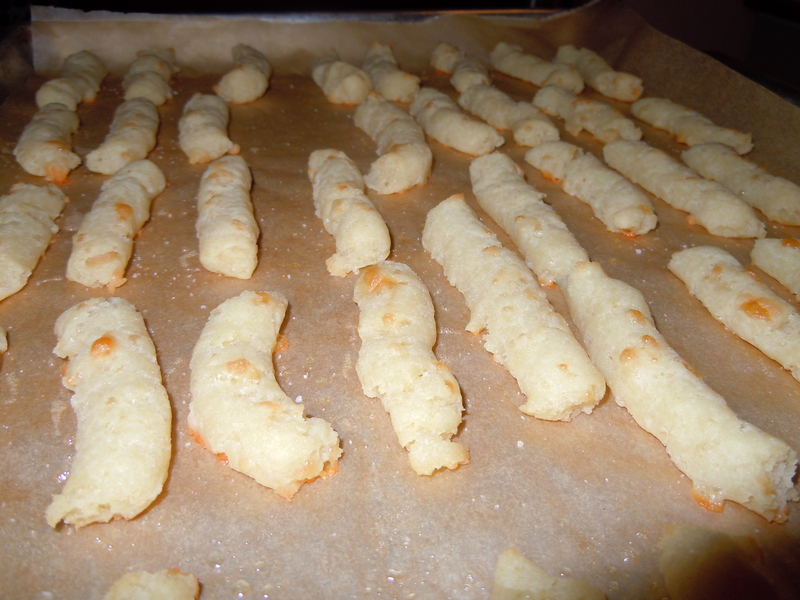 You can find Julie’s blog from Julie and Julia called The Julie/Julia Project, here and her post about the potato cheese sticks here. As a side note, I took Arabic (in elementary school) and German (in high school), although I can only speak a few words of either anymore, so I was a little daunted to say the name of the recipe out loud to customers. After a little dictionary.com verbal translation recon and practicing on my co-workers, a French-Canadian shopper told me that I did a pretty good job with my pronunciation! Say “boo-shay pahr-men-tyey oh fro-mazh“ and you’ll sound like you’ll know what you’re doing too! 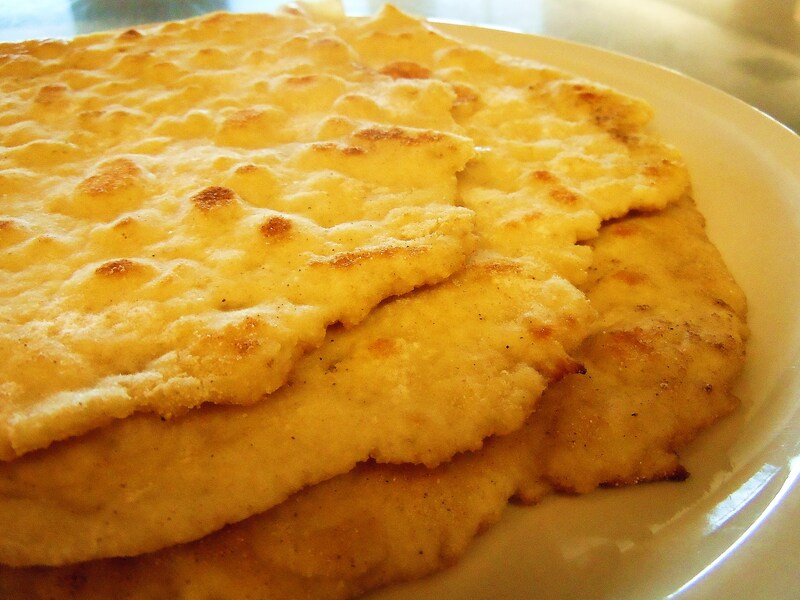 Naan is one of the things I miss the most since I stopped eating wheat. It is a versatile bread, and makes great mini pizzas for a quick snack! In October, I tabled for the Co-op at the 9th annual Bellingham Gluten Intolerance Group information fair at St. Luke’s Education Center. Next door to me was Josh from Flax 4 Life (who make delicious gluten-free flax muffins locally), and we started talking about the gluten-free lifestyle and he told me his wife Karissa was also a blogger. Then he told me the news I was waiting to hear – that she had successfully made gluten-free naan. Guess what I did? Yup, you got it – after I went back to work I looked up her blog straightaway! I will be the first to admit that when I saw that the naan recipe contained yeast, I was discouraged. I don’t have a great history with successfully completing recipes for yeasted breads – I can never get them to rise properly, even when following the directions to a tee, and my kneading leaves a lot to be desired! As my last recipe demo of the year got closer and closer, I decided to finally put my fears aside and tackle the naan recipe with only thoughts of success – what a good way to end the year, right? Guess what, it worked…and not only that, it was delicious and super easy! I think this recipe works best in a cast iron skillet. You do need a lid, and I didn’t have one, so I just used a cookie sheet to cover the skillet and it worked just fine. If you don’t have a cast iron skillet (you should really get one, you know!) then you should probably use a little more fat than I did for frying the naan so they don’t stick. A well-seasoned cast iron skillet won’t require as much lubrication as you cook as stainless steel or other pans, so you can use less as you go through your batch of dough. The original recipe called for a whole tablespoon of butter for each piece of dough, but I used considerably less than that. The recipe was originally created by Artisan Bread in Five, and the same dough can also be made as a crusty boule with a few changes to the recipe. You can find videos and step-by-step photos on their blog of the process. They have a GF section in their cookbook that I really want to check out after making this recipe, and I will be exploring their blog for more gems. Karissa at Gluten Free, Frugally adapted the recipe and essentially gave me the courage to go for it. You can freeze both the dough and the cooked naan, so it is a great recipe to make in a big batch and then just pull them out of the freezer as you need them. The next time I make these (which will be soon!) I am going to try to tweak it a little by using olive oil instead of the canola, as well as frying them in a little olive oil. I am a huge fan of butter, and I’m sure that I will make them with butter again, but changing those two components ups the healthy factor a bit – plus I also love the flavor of a good olive oil! Happy New Year, and enjoy the naan!!! Mix the flours, yeast, salt and xanthan gum in the bowl of a stand mixer (or a large bowl, if you are preparing by hand). Add the water, eggs, oil, and honey to the dry ingredients. Mix with the paddle attachment (or with a large spoon) for a few moments until the dough has fully come together. It will be very soft and airy. Put the dough in a large, clean bowl and cover it with a clean towel. Put the dough in a warm place and leave it to rise for about 2 hours. Take the dough and break off a chunk about the size of your fist. Place it on a floured silicone baking mat or a piece of plastic wrap. Place a piece of plastic wrap over the top of the lump of dough and flatten it into a round shape with the heel of your hand. Peel back the plastic wrap and sprinkle a little brown rice flour on top of the dough. Replace the plastic, and gently roll dough out to about 1/8” – 1/4” thick disc (depending on your preferences). Heat a small pat of clarified butter over medium heat in a skillet that has a lid (cast iron works the best). If you don’t have clarified butter, you can use regular butter, but you will have to take care so it doesn’t burn (clarified butter doesn’t tend to burn) – you will have to wipe out the pan after you cook each naan. Carefully peel the dough off the mat/plastic and place it in the skillet. Put the lid on to keep the heat in and cook for about 2 minutes. Flip it over and cook for about another minute or two, until cooked through. Repeat steps 4-9 until dough is gone! If you don’t have a cast iron skillet with a lid, but have the skillet, use the bottom of a cookie sheet as a make-shift lid. Just be sure to wear an oven mitt—it will get hot! Let the naan cool on a wire rack. If you are freezing them, wait until they are fully cooled and then put them in a large freezer bag with parchment paper in between them so you can pull out one or two easily from the freezer. The weather has been chilly (and rainy, and windy, etc. etc. ), and that means stew in our household. I have made beef stew too many times to count, but had never actually written a recipe for it before so I figured today was the day! It’s always interesting creating a recipe for something that you know how to make in your sleep – I have never measured any of the ingredients for my stew, I just add what looks (or smells) like the right amount. The recipe has evolved over the years, as I have gained culinary knowledge and skill, but has essentially remained the same for over a decade. I take the time to sear the meat correctly now – this was a step I ignored for many years and have found out that it is essential to making great beef taste FANTASTIC. The secret is that you really do need to dry your meat before searing it over a high heat – it sears more quickly and leaves a delicious fond (the dark brown bits of meat left on the bottom of the pan) to season your dish as it cooks. I used the local Bennett Farms grass-fed stew meat (in packs in the frozen meat section, and you can also buy it direct from the ranch in Everson) because it is the best tasting beef I have had since I was a kid and we “grew our own”. The higher the quality of meat you use in your stew, the better it will taste, so I urge you to splurge on the good stuff! Pat stew meat dry with paper towels and place in bowl; season with salt and pepper. Heat large Dutch oven or heavy bottomed stock pot over medium-high heat. Heat butter or oil; add seasoned stew meat, making sure to not crowd the pieces in the pot. Sear meat on twos ides (do this in small batches). Once all the meat has been browned, add 4 c water to the beef in the pot. Add bouillon cubes and bay leaves. Bring to a boil. 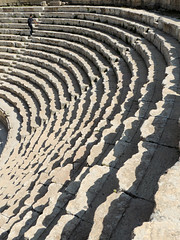 Once water is simmering, cover and reduce heat to low. Simmer for 1 ½ – 2 hours. When meat is almost done simmering, start prepping your potatoes and carrots. Remove the lid from the pot and increase heat. Add cubed potatoes and sliced carrots and bring to a boil. Cover, reduce heat to low, and simmer for at least 20 minutes (30-45 minutes is best). Taste the broth to see if you need to add salt/pepper. Remove lid and add frozen corn. Increase heat and bring to a boil. Cover, reduce heat to low, and simmer for at least 15 minutes. Remove lid and increase heat. Mix 2 T flour (and cornstarch if making GF) and just enough water to cover it in a jar with a lid. Pour it into the stew, and stir for about a minute. If stew doesn’t thicken as much as you would like, add another T of flour (mixed with a little more water). You can add onion and fresh garlic to the recipe if you desire. Add these ingredients when you add the potatoes and carrots. You can also substitute frozen peas for the frozen corn, or add both! 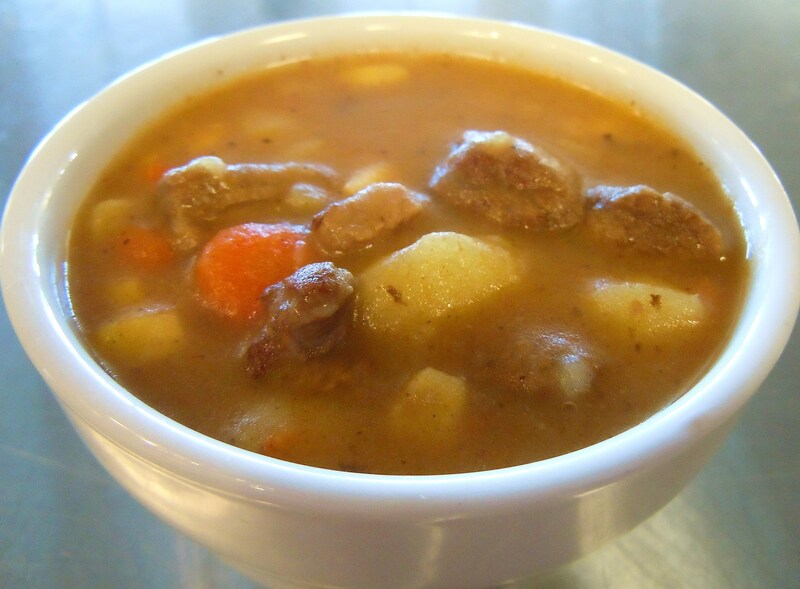 This stew (as are most stews) is much richer the second day. I recommend Rapunzel vegetable bouillon and the local Bennett Farms (frozen) stew meat. They combine for fantastic flavor. You can make the stew in about two hours if you observe the minimum cook times. I like to cut the carrots in varying thicknesses so some of them liquefy into the stew, but you are also left with nice chunks. It is important to dry your pieces of meat so they sear correctly. If your meat is too moist, it won’t sear properly. It is worth it to take the time to complete this step. For yesterday’s Cordata recipe demo, I wanted something tasty and sweet. Our annual staff party was Friday night (a Co-op Prom! ), and I knew that I would want to have something easy to prepare because I would be doing my own preparations at home that evening. I came across a post from Amy Green’s blog Simply Sugar and Gluten Free – No Bake Crunchy Chocolate Peanut Butter Bars, and I knew I had found a winner. Amy uses only unrefined sugars in her recipes, and I have kept my eye out for something that used coconut palm sugar. We started carrying it at the Co-op a little while ago, but I hadn’t used it in a recipe yet. Coconut sugar is derived from the sap of the coconut palm, and is a low-glycemic sugar (it has a glycemic index of 35, which is equal to figs, quinoa and wild rice). It is gaining popularity as an alternative to agave syrup (although this recipe calls for both). I of course made a few artistic changes to the recipe to suit what I had in my pantry. I used Republica Del Cacao‘s organic 75% cacao chocolate chips (in bulk!) in place of the carob chips in the original recipe (you know I’m a sucker for dark chocolate). We do carry unsweetened carob chips in bulk, so if you are looking for the lowest sugar level possible, give those a try (we also have grain sweetened carob chips). I also used my favorite Santa Cruz dark roasted crunchy peanut butter in place of the smooth peanut butter in the original recipe – just make sure the peanut butter you use has no sugar, as it is commonly added to most conventional brands of peanut butter. Nature’s Path GF Corn Flakes and Puffed Rice worked really well in this recipe as well. They are headquartered in Richmond, British Columbia, a short 25 mile jaunt across the border, and are produced locally in Blaine (just down the road from my dad’s house!) as well as in Delta, BC (which is also in the lower BC mainland). The bars were very easy to make, and turned out great. 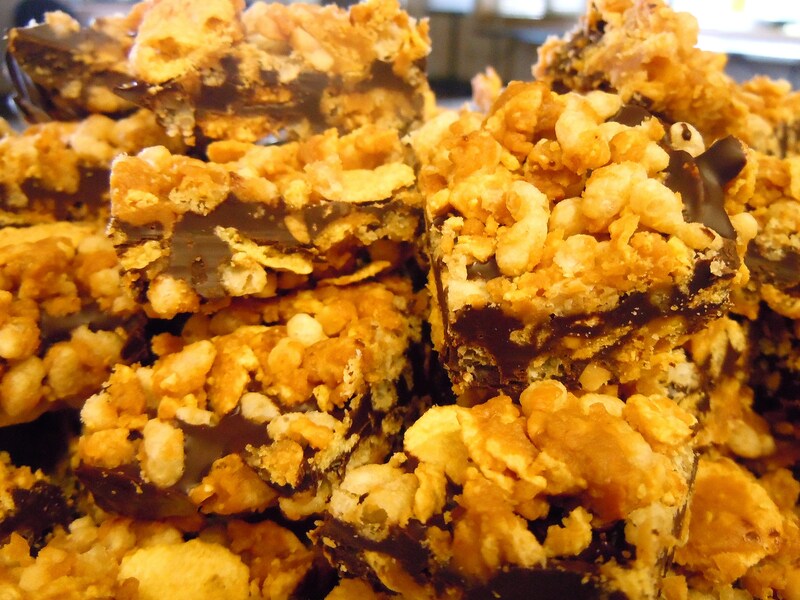 The NP corn flakes gave them a satisfying crunch, and they were very popular with customers. I love recipes that you can adapt to what you already have in your cupboard, and this is another gem! They remind me of my granola bar recipe ingredient wise, but end up tasting very different. Enjoy! Line a 9×13 pan with aluminum foil or parchment paper (let the edges hang over the side). Lightly mist with cooking spray. Put 2 T butter (or shortening) in the bottom of a glass or stainless steel bowl (that will fit snugly on top of a saucepan) or in the top of a double boiler. Top with carob/chocolate chips, chopped baking chocolate, and vanilla. Bring an inch of water to a boil and place the bowl on top of the pot. Turn off burner. Let sit until the mixture melts, stirring occasionally. Put the corn flakes and rice cereals in a large bowl. Put the peanut butter, agave, palm sugar, and butter in a heavy bottomed sauce pan. Heat over medium heat, stirring constantly. Bring to a boil for one minute, stirring. Pour hot peanut butter mixture over cereals and stir until coated. Press half of the cereal mixture into the bottom of your prepared pan. Spread with the melted chocolate mixture. Top with the remaining cereal mixture, pressing them into the chocolate mixture. Cover and refrigerate until set, about one hour. Cut into desired size with a sharp chef’s knife. For this week’s demo, I wanted to make something sweet. If you notice the ratio of desserts to entrees that I tend to sample, you’ll see that I do have a bit of a sweet tooth, although I try to keep a balance of recipes. I haven’t demoed a sweet treat since late August, so I felt it was time! 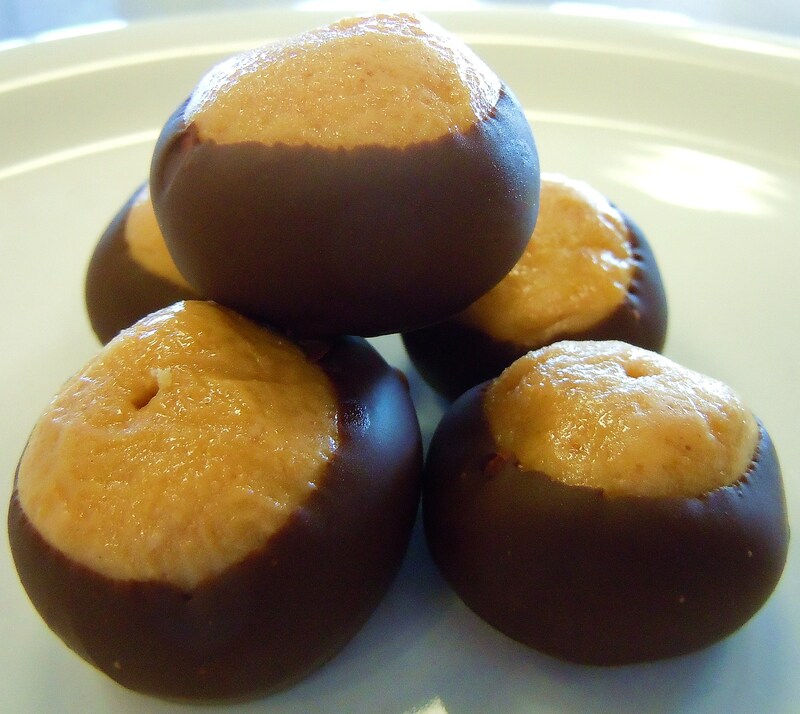 I trolled the web and found numerous recipes for Buckeyes that sounded promising – who doesn’t like peanut butter and chocolate? Well, actually one mother daughter duo professed to me yesterday that they didn’t, but everyone else I talked to sure did! If you are not familiar with Buckeye trees (as probably many in WA state are not), here are a few facts: Buckeyes are nuts from trees of the same name, which are very closely related to Horse Chestnuts. 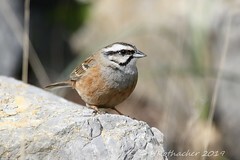 They grow all over the world but in North America, they grow mostly in the southern half of the continent (you’ll find them in CA, TX and of course in OH, which is called the Buckeye state). 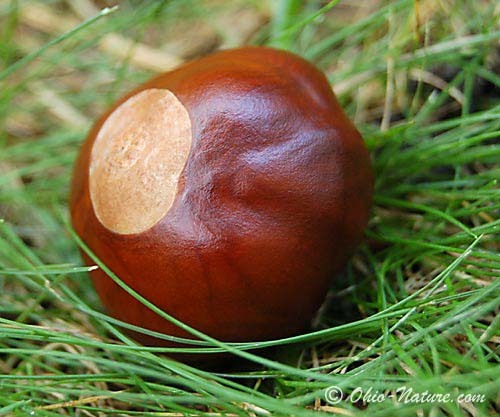 Buckeyes and Horse Chestnuts were historically used to aid circulation in both humans and horses (hence the name). Homemade buckeye treats are very easy to make, and taste like a really, really good peanut butter cup. I used Santa Cruz organic dark roasted peanut butter in my batch, as well as organic dark chocolate chips for the coating. Some organic powdered sugar, butter and vanilla rounded out the ingredients. This is a recipe that does not shy away from sugar, and believe it or not, I used less sugar than the original recipe called for (by about 2 cups!). A customer and I chatted about substitutions for the recipe, and you can of course use margarine in place of the butter if you want a vegan version, but she was going to try using coconut oil instead and I thought that might work out pretty well. She was also going to replace the powdered sugar with Rapadura sugar (both powdered and the crystals) but I wouldn’t recommend that unless you know what Rapadura tastes like – it does have a stronger flavor than regular white sugars, but I think in this recipe it could work. This is a great recipe to make with kids, as there is no oven involved – as long as there is supervision melting the chocolate (although that can be done in the microwave in a pinch, but I think it tastes better done on the stove). You can also easily halve this recipe and still have a decent amount of treats. Enjoy! In a large bowl, mix together peanut butter, butter, vanilla and powdered sugar. Roll into 1” balls and place on a parchment paper lined cookie sheet. Press a toothpick into the top of each ball (to be used later as the handle for dipping them). Chill in freezer until firm, about 30 minutes. Melt chocolate chips in double boiler or in a bowl set over a pan of barely simmering water. Stir frequently until smooth. Dip frozen peanut butter balls in chocolate holding onto the toothpick. Leave a small portion of peanut butter showing at the top to make them look like Buckeye nuts. Place Buckeyes back on the cookie sheet and refrigerate until served. Remove toothpicks before serving.